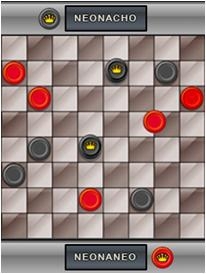 Checkers: "Checkers - the eternal strategy challenge you can learn in minutes and play for life. Play the classic game or try suicide mode, in which the first to lose all their pieces wins." 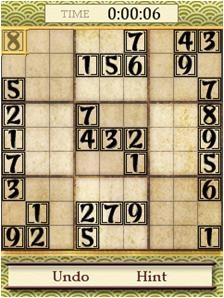 SuDoKu: "Solve Sudoku by filling in all nine rows and columns with the numerals 1 through 9. Each numeral can only be placed once in a given row or column. Play the classic 9×9 or a quick 6×6 game." 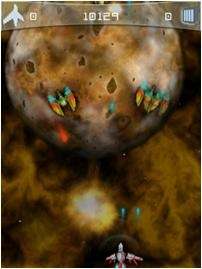 Space Battle: "Survive as long as you can against increasingly aggressive waves of alien attackers! Customize your ship and add weapons to your armory as you progress through the game." 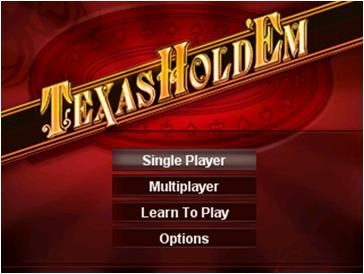 Texas Hold 'Em is enhanced with new multiplayer optons. I don't have any details about this, but I presume it's for local WiFi play with nearby Zunes. There are also new single-player difficulty levels for you Texas Hold 'Em pros out there. Zune Social enhancements include a visual refresh to make things easier to navigate, and a new feature called "Like Minded Listeners" that will let you see how compatible your music tastes are with friends and other listeners. There's improved stability and performance in both the device firmware and desktop software. One the device they've improved the play count reporting and content synchronization, especially channels and wireless purchases from the device. The device side firmware should also eliminate some of the lag we sometimes see. Want to snag this 3.1 release? Just sync your Zune and sometime within the next few hours you should see the 3.1 update pop up. Enjoy, and let us know what you think!